eing the leading names in the industry, we offer varied range of SS Laser Cutting Work that are manufactured as per the set quality standards. We offer them in varied technical grades and dimensions and are used ion varied industrial applications. With tea assistance of experienced professionals, we are able to deliver an exceptional range of products. 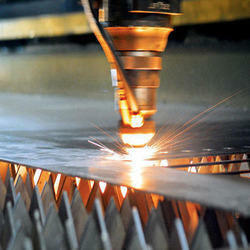 Laser Cutting Services offeredis handled by experienced industry professionals so as to provide for lasting services. Further, we also ensure the offered metal fabrication services can be made available in exact specifications as demanded by the customers. Some of the service features include provision of offering services using carbon steel, stainless steel(304,316L,201,430), galvanized steel and other options; can be offered in dimensions according to customers' requirement; suitable support for handling processes like cutting, laser cutting, punching, deburring and others; choice of different surface treatment like Powder Coating, Galvanizing, Electroplating, Anodising and others. 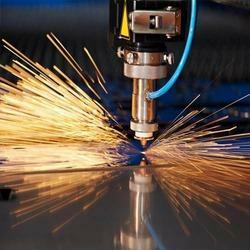 Looking for Laser Cutting Services ?